This is a delicious condiment to add to your grilling or snacking repertoire. Like any great salsa it’s packed with big, bright, balanced taste that easily complements other ingredients. What a great way to fill Half Your Plate with zesty flavours! To make the salsa simply toss everything together in a bowl until thoroughly combined. Serve and share with your favourite chips or as a side condiment for anything grilled…. One secret to a great salsa is to take the time to cut all the ingredients as small as you can. This makes it much easier to scoop up all the flavours in one bite. Another salsa secret is the delicious balance of sweet, sour, salty, spicy and savoury flavours. 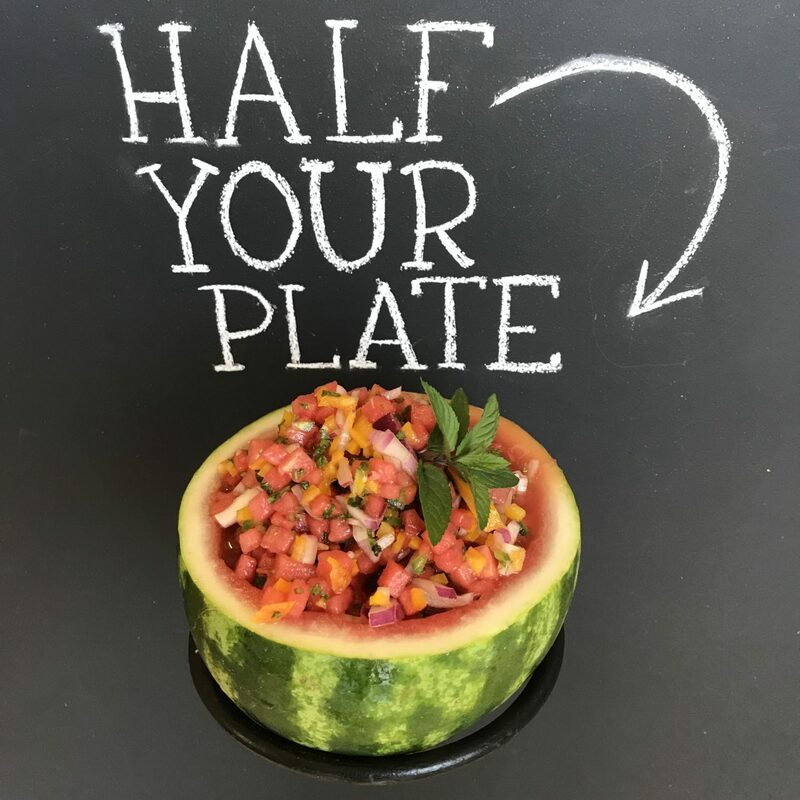 This recipe uses about half a melon. The other half is best enjoyed cut into wedges and slurped outside! Anytime I fire up my grill for supper I always look for a veggie to add to the works because grilling is not just for meat. Firm, juicy zucchini is an ideal candidate. 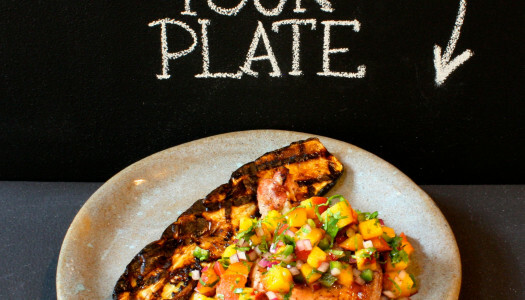 This simple dish also shows how easily you can adapt the classic flavours of salsa to just about any fruit. Try it; you just might discover that you prefer peaches to tomatoes in your salsa! One of the best ways to fill Half Your Plate (and all of your soup bowl) is with a simple pureed soup. They’re a time-honoured and super-simple way to get a whole lot of vegetable flavour on the table in a hurry – maybe even hide vegetables from finicky eaters. 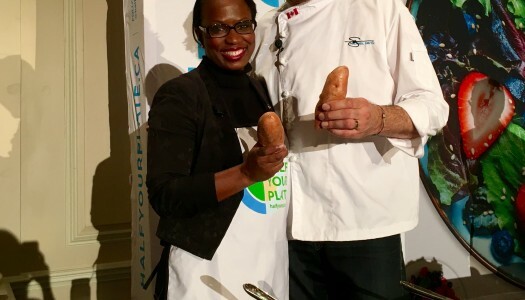 This one was custom created by MP Celina Caesar-Chavannes with Chef Michael Smith’s coaching!